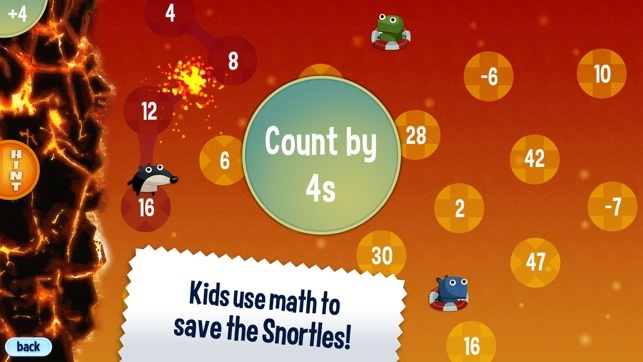 Use math to save the Snortles! Skip Counting provides the foundation for math fluency in calculation, number sense and as the basis of multiplication and division. 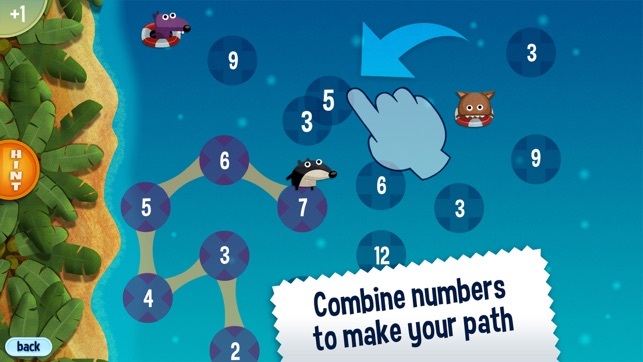 The award-winning Jump Numbers is a flexible and fun skip counting game to excite and engage mathematicians of all ages and ability. The Snortles lived happily in their favorite volcano until the day it popped! Now they’re scattered and floating in the sea. Jump from one number to the next in a sequence, saving Snortles and earning beach balls as you go. Squish numbers together to make the next number on your path. Watch out for Stompers and fuses or they'll send your Snortles flying! The default mode of play in Jump is adaptive difficulty. This means the game will automatically adjust the difficulty for each player. The game starts out easy, counting by 1s and 2s, but before you know it, you may find yourself counting by 7s, 8s or 9s and things can add up quickly! The more Snortles you save and the more math you do, the more challenging the game will become. 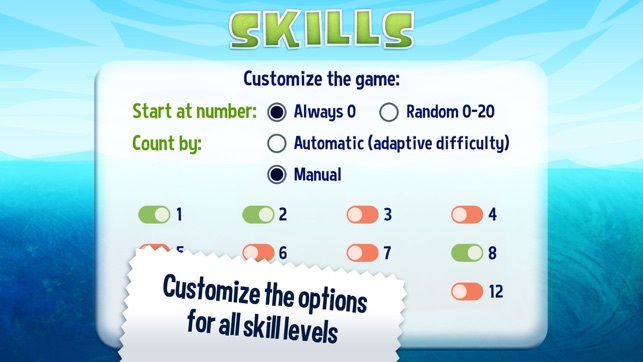 - Choose the specific “Count by” numbers a player is presented with, or play the original adaptive game. - You can also choose a random “Start at” number for a much tougher challenge. Thanks for playing Jump Numbers! Jump Numbers has no in-app purchases or third party advertising. A Little hard but good nonetheless! I love this game. I’m getting smarter every second!! 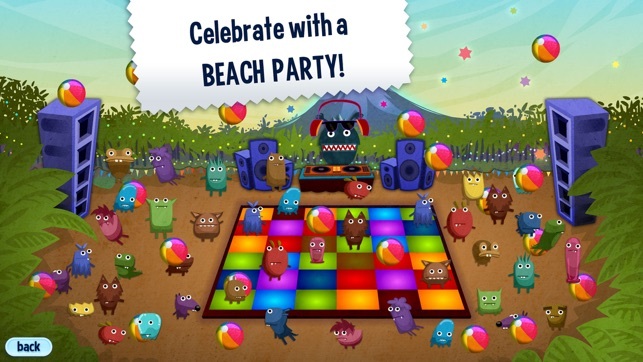 Have a blast while working on math skills! Jump! 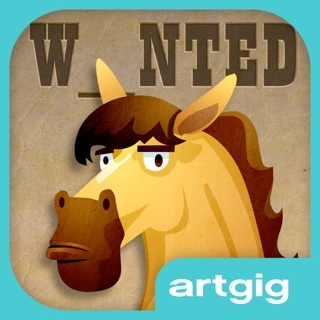 A Game of Numbers by Artgig Studio is not just another boring app for learning math facts. It is nearly impossible to put down! 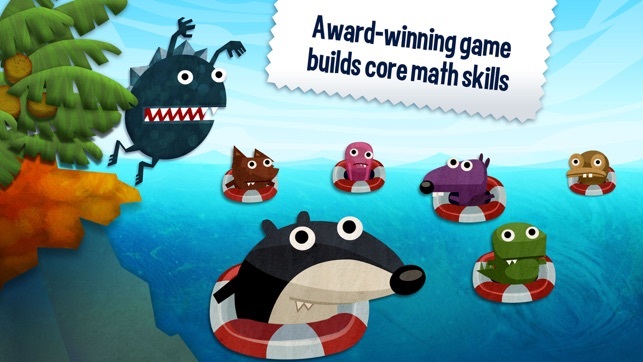 In this new app, you need use your math skills to save the adorable Snortles from the ocean because they have been displaced from their home in the volcano. You need to jump, in sequence, from once circle to the next, counting by 1's, 2's, 3's, all the way to 10's and 12's! Oh no! I need to jump to a 10, and there is no 10! Slide a 6 and 4 together, and you have a ten. Create missing numbers, positive and negative. Whatever you do, beware of Stompers and fuses. They will send your Snortles back into the water. For kids who are not ready for this, or find to to be too much sensory input, it can be turned off in the parent's section, as can music and sound. 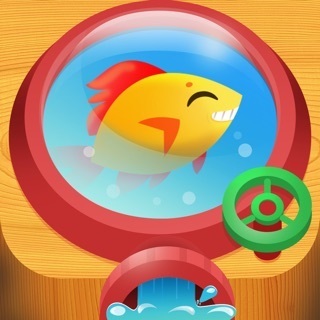 This app is programmed to adjust the child's difficulty level automatically, so there is no need for setting levels. As I played it, it became very obvious, though, that there is quite a range of material covered. Unlimited user accounts are also supported, which is ideal for the classroom, as well as this who home school. Hints are offered in the app, and there are no wrong answer buzzes, which can be so frustrating and/or distracting to some students. Jump! is a dynamic and incredibly engaging to get kids interested in working on math skills. 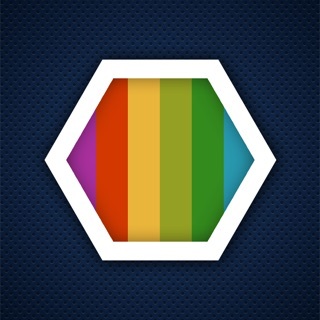 It truly has the feel of a game, but the content of an educational app. I highly recommend it!